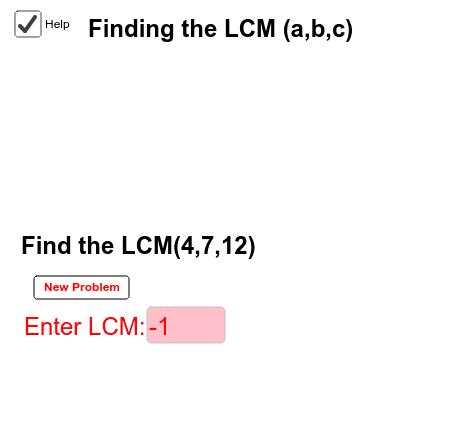 The least common multiple (LCM), a.k.a. least common denominator (LCD), of two numbers is the smallest number (not zero) that is a multiple of both. Hidden in the lesson is the Greatest Common Factor for those who want to continue. Works on phones. More details see Find the LCM(a,b).